East County Chamber’s First Friday Breakfast Get Your Community Fix! Eight East County Teachers Nominated in ‘A Salute to Teachers’ SAN DIEGO — Forty-four local teachers recognized by their districts as teachers of the year are now nominees for San Diego County Teacher of the Year, eight are from East County. Five will be named the 2017-2018 San Diego County Teachers of the Year at the 27th annual “Cox Presents: A Salute to Teachers,” airing live at 8 p.m. on Saturday, Sept. 16 on YurView (Cox Channel 4 and 1004 in high definition). The glamorous Academy Awards-style show, brought to you by San Diego County Credit Union, will be televised live from the Balboa Theatre in downtown San Diego. “Cox Presents: A Salute to Teachers” recognizes the county’s 22,000 public school teachers, and features musical and dance performances leading up to the announcement of the five County Teachers of the Year, who will represent the region while vying for California Teacher of the Year honors. ALPINE — The Viejas Fire Department and The Alpine American Legion Post 258 commemorated the brave men and women of the September 11, 2001 attacks by flying a large flag affixed to Viejas Engine T-25’s massive ladder. The beautiful sight was coordinated by Viejas Tribal Council Member Adrian M. Brown, Viejas Fire Chief Bob Pfohl, Post 258 Commander Lee Slinkard and the concerted efforts of their respective organizations. Naturally, the event was followed by a hearty barbecue dinner hosted by the Post. the alley in between ! on’t get hooked: I encourage seniors and caregivers to sign up now for a special forum I’m hosting Nov. 1 on how to fend off financial scammers and other crooks. The free, two-hour gathering will start at 9 a.m. at Skyline Church, 11330 Campo Rd., La Mesa. Deputy District Attorney Paul Greenwood and other experts will offer tips on how to avoid becoming a victim of the “grandmother scam,” “IRS scam” and other common ruses targeting older residents. San Diego County District 2 Supervisior, Dianne Jacob gency supplies kit; sign up for the Alert San Diego emergency notification system; and download the SD Emergency app on your cell phone. For more on all these, and for additional help, go to readysandiego.org . The county has significantly ramped up fire and emergency services since the deadly firestorms of 2003, investing more than $400 million on improvements that include new rural fire stations and aerial resources. 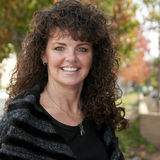 For more District 2 news, go to www.diannejacob.com or follow me on Facebook and Twitter. If I can assist with a county issue, please call my office at 619-531-5522 or email dianne.jacob@sdcounty.ca.gov Have a great East County day! he 23-campus California State University system knows it must somehow speed up graduation beyond today’s pace, which sees just 19 percent of entering freshmen graduate within four years. The low rate is at least partly because more than a third of frosh need some remedial work. Increased college graduation is especially crucial in three major regions: the Los Angeles area, the Central Valley and the Inland Empire of Riverside and San Bernardino counties, where need for educated workers is growing steadily as industries become more technically complex. A study from the non-profit Public Policy Institute of California the other day found the state will need 1.1 million more college educated workers by 2030 (beyond its current pace of producing graduates) to keep up with economic demand. That’s one big reason the Cal State system this summer floated the idea of turning its current crop of remedial math and English classes into for-credit classes rather than leaving them as non-credit courses that don’t contribute to anyone’s graduation. The problem with giving academic credit for remedial classes that essentially provide students with knowledge or skills they should have picked up in high school is that it threatens to dumb down degrees from Cal State campuses from the North Coast to San Diego. Top officials in the Cal State system’s Long Beach headquarters know this and want to nip in the bud any suspicion about inferior diplomas. “We will only do this if we can do it without dumbing down the degree,” said Mike Uhlenkamp, senior spokesman for Cal State. “The most important thing we do is make sure students get a high quality education so employers know just what they’re getting when they take our people on.” That’s where things get dicey. How can Cal State combine standard freshman coursework with remedial lessons in the same kind of classwork, the stated goal of the putative new forcredit policy? “We have to do it,” Uhlenkamp said. “Classes won’t be the same as today’s when we’re trying to do catch-up and coursework all in the same breath.” Cal State would like to get this going, at least on a pilot basis, by next fall, which means students starting classes right about now won’t notice much change. But it’s a conundrum the nation’s largest university system hasn’t quite figured out. “We’re consulting faculty, campus administrations, the community colleges and everyone else we can think of with an interest in this,” Uhlenkamp added. “We’re still evaluating the best way to do it.” Still, it may not be possible to turn a cow into a racehorse just by calling it something different or painting it a different color. And yet, there’s little doubt the present system has made many students feel one-down. Some feel discriminated against because the non-credit remedial classes they’ve been required to take doom them to spending a year or more longer getting to graduation than many of their onetime high school classmates. So the Cal State bosses will consider criteria other than routine placement tests to determine who must get remedial work. “In the past, we’ve relied on that,” said Uhlenkamp. “But some people are just poor test takers even if they know a subject.” The remedy will be a more holistic approach, using high school grades and scores on the SAT and ACT tests (taken by most college-bound high schoolers) in addition to placement tests as factors indicating whether students are ready for college when they arrive. And it’s not just Cal State that faces the remediation problem. So do the state’s community colleges, where many students who ordinarily would require catch-up classes now are being mainstreamed, some doing well. The bottom line: For the community colleges, Cal State and most of California, it’s a must to graduate students faster, but the trick will be to do this in a way that doesn’t decrease the quality and value of diplomas they get in the final act of their undergraduate years. groceries. Daisy Tate, Executive Director of the Veterans Supplemental Support Network (VSSN), wanted to make sure these heroes were given the recognition that they deserve. She spearheaded an effort to get local and state governments to recognize September as “Heroes Month” to honor local everyday heroes from all walks of life for their selfless actions in the service of others. In 2013, Daisy asked her State Senator Joel Anderson to write a Senate resolution officially declaring September as “California Heroes Month.” Anderson introduced Senate Concurrent Resolution 97 in 2014, and it received unanimous support in the legislature. September since then has officially been declared “California Heroes Month.” After the resolution’s passage, Anderson said “It’s important we recognize every local hero for their community efforts. These heroes and their good deeds inspire and encourage others to step up to help their neighbors in need. California Heroes Month is a magnificent opportunity to recognize the importance of selflessly giving and recognizing those local unsung heroes within each community. These heroes and their good deeds inspire and encourage others to step up to help their neighbors in need.” If there is someone you would like to nominate to be recognized this California Heroes Month, Senator Anderson’s office encourages you to fill out the nomination at bit.ly/CAHeroesMonth (case sensitive). Nominations are due by Sept. 30. If you have any questions, contact Jennifer Webber at 619-596-3136 or Jennifer.webber@sen.ca.gov. esearchers at UC San Francisco have identified specific gut microbes associated with Multiple Sclerosis (MS) in human patients, showing that these microbes take part in regulating immune responses in mouse models of the disease. The new findings — published during the week of Sept. 11, in the Online Early Edition of Proceedings of the National Academy of Sciences (PNAS)—suggest that gut microbes may play a role in the neurodegeneration that characterizes MS. The authors hope the finding will help scientists understand the origins of MS and potentially lead to treatments, such as dietary changes or drugs based on microbial byproducts, which could improve the course of the disease. MS is an neurodegenerative disorder that affects more than 2.5 million people worldwide with progressive loss of vision, weakness and tremors, and problems with coordination and balance. In severe cases, paralysis may result. MS is caused when the insulation, known as myelin, that wraps around nerve cells is damaged. “The field has been very successful in identifying genes associated with susceptibility to MS, but I’ve never been satisfied with the amount of risk that we’ll be able to explain with just genetics,” said Sergio Baranzini, PhD, a professor of neurology at UCSF and the senior author on the new study. “Even identical twins, who share the same genetic inheritance, only share an MS diagnosis about 35 percent of the time. It’s clear the genome is important, but environmental factors must also play a major role.” Many suspected environmental contributors to MS, such as history of smoking, diet, and environmental exposures, are very hard to pin down and associate with a biological impact on patients, Baranzini said. But a growing number of studies demonstrating that gut microbes can directly influence the function of the human immune system suggested a new possibility to Baranzini: Since “the intestine is actually the most intimate connection between the outside world and the immune system,” he explained, the human gut microbiome could play a role in the onset or progression of MS. GRANTS AVAILABLE To Obtain a Grant Application Visit: www.stoneyskidslegacy.org or Email: Grants@stoneyskidslegacy.org Note: Stoney’s Kids Legacy Does Not Fund Administrative Costs. Alpine Woman’s Club Meeting Alpine Woman’s Club Monthly Luncheon is Tuesday, Sept. 19 at Noon. The Club is open to all East County Women and is located in the Alpine Town Hall, 2156 Alpine Blvd. After lunch they will play a game called, Who am I? Members will bring in a picture of themselves, from years past, and they will try and guess the name of the person in the picture. There will be prizes and surprises. The club’s Mission is to provide opportunities for women to meet and socialize, to maintain the Historic Alpine Town Hall and to hold fundraiser’s for their scholarship fund. So far, they have given away $126,000 in scholarships to local, college bound seniors. They have three major fundraisers each year. Attic Treasurers in February, The Victorian Tea in April and the Christmas Home Tour in December. If you are interested in learning more about the club then please make a reservation to attend their monthly meeting/ luncheon. Please contact Karin Smith karinshouse64@yahoo. com or 619-357-5353. Information about events and programs can also be found on their website at www.alpinewomansclub.org or their Facebook page. an Diego State returns home to play host to No. 19 Stanford at 7:30 p.m. Saturday, Sept. 16. Tickets are still available for the game against the Cardinal, but fans are encouraged to purchase tickets early for better seat location. The Aztec Ticket Office, located at San Diego Stadium Window E, is open Monday through Friday from 9 a.m. until 5 p.m. On Saturday, the ticket office will open at 2:30 p.m. Individual tickets may also be purchased online at GoAztecs.com or over the phone at (619) 283-7378. SDSU swept the Mountain West weekly awards after a 30-20 victory at Arizona State on Sept. 9. Senior Rashaad Penny (Norwalk) became the first player in MW history to win two of the three awards in a single week, capturing both the offensive and special teams award, while junior Noble Hall (Las Vegas) picked up the MW Defensive Player-of-theWeek award. Penny rushed 18 times for a career-high 216 yards (12.0 avg.) and a touchdown, while adding four catches for 38 yards and a touchdown, as well as a 99-yard kick return for a score. Penny, who was named the Walter Camp FBS Offensive Player of the Week, became the first player in FBS this season with at least one rushing touchdown, one receiving touchdown and one kick return score in the same game. His 353 all-purpose yards (216 rushing, 99 kick return and 38 receiving) are the most in a FBS game this season (second is 272), and is third most in SDSU single-game history. Hall, meanwhile, picked up his first career defensive honor, the first by an Aztec since Malik Smith won the weekly award on Nov. 30, 2015, the first by a SDSU defensive lineman since Jerome Long on Sept. 13, 2011 and just the third San Diego State defensive lineman to win the award in the MW era (since 1999). Hall set career highs in every category against the Sun Devils, registering five tackles (four solo), 1.5 sacks for 13 yards, 2.5 tackles for loss for 20 yards and two forced fumbles. For more information, visit goaztecs.com. EAST COUNTY BIZwith Rick Griffin Chick-fil-A in Santee and La Mesa will help Texas hurricane victims The two Chick-fil-A restaurants in the East County, in Santee and La Mesa, will host a fundraiser night on Tuesday, Sept. 19 to support recovery efforts for Houston’s victims of Hurricane Harvey. Officials said both stores will donate 15 percent of all sales between 5 and 8 p.m. to a Chickfil-A fund earmarked for Houston residents. Both owneroperators of the two Chick-fil-A restaurants have friends and family members living in Houston who were impacted by the hurricane. Santee’s Kyle Steck has in-laws living in Houston. Rick Preciado in La Mesa worked for various oil and gas, building materials and chemical companies in Texas before joining Chick-fil-A and moving to San Diego to open the La Mesa restaurant earlier this year. The Santee Chick-fil-A is at 9418 Mission Gorge Road, Santee. The Grossmont Chick-fil-A is at 8200 Fletcher Parkway, La Mesa. next with a special emphasis on children, seniors, Latino and low-to-moderate income populations, according to Susan Day, Burn Institute executive director. Among the Burn Institute programs earmarked for the GHD funds: Camp Beyond the Scars, a week-long summer camp that assists children ages 8 to 17 in coping with the devastating psychological and physical effects of their fire or burn injuries; Living With Wildfire, a program providing information to homeowners about wildfires; and free smoke alarm detectors for seniors who own their homes. Other Burn Institute programs and activities benefitting from GHD support include peer support services, supplemental counseling, emergency assistance and fire and burn prevention education. every month. Ticket prices start at $195 per person. For sponsorship and RSVP information, call (619) 449-6572 or visit www.SanteeGala.com. Walgreens building in Santee purchased for $11.1 million The Walgreens building, 9305 Mission Gorge Road in Santee, has been sold for $11.1 million as part of a 1031 exchange, according to industry reports. The buyer was Lyn-Jo Santee LLC, a unit of privately-held, New York-based Jo-Lyn Management, which reportedly borrowed $6.1 million loan from Cantor Commercial Real Estate to acquire the property. The seller was CPI Santee LLC I, II and III, a unit of Columbia Property Investors of Hackensack, N.J. The other part of the 1031 Exchange was a 93-unit apartment building in the Bronx valued at $20 million. Supervisors earmark $34 million for road repair The San Diego County Board of Supervisors has approved a plan to borrow up to $34 million from the General Fund over the next five fiscal years to improve about 2,000 miles of county-maintained roads. The plan is aimed at raising the county’s pavement condition index (PCI) from 60 to 70. Developed by the U.S. Army Corps of Engineers, the index rates roads from 0 to 100 based on a visual survey of pavement distress, including cracks, rutting and potholes. The money would be repaid using road-maintenance funding from the state’s Road Repair & Accountability Act of 2017.
quent failing immune system until he died of AIDS. Ducharme fell in love with teaching after completing 30 required volunteer hours in a classroom near campus. She’s been a middle school science teacher at Carlton Hills in Santee for 20 years, the Santee School District Science Fair coordinator, a lead teacher of Math and Science Technology (MAST) academies, the yearbook adviser, and was a part of bringing the first robotics competition to San Diego through BotBall. • A visitor smells the wood as soon as she walks in to Kathy Worley’s West Hills High classroom. Her students apply what they’ve learned in other classes to sketch, measure, calculate distances, and express themselves through their wood-working projects. Worley dreamed of being a doctor, and only turned to woodshop after a summer school mix-up landed her there instead of in a swim class. After years of teaching, Worley went to the Ricks Institute in Liberia. She came back with a new attitude and a new skill – building guitars. She encourages students to pursue career and technical education, and has partnerships with Taylor Guitars, Ace Parking, and the East County Chamber of Commerce. She is a curriculum writer, Breitbard Hall of Champions Coaching Legends inductee, and a California Coaches Association Athletic Director of the Year. • Camden Flores is a 20-year teaching veteran who feels at home in her classroom, but knows how difficult creating a welcoming environment can be, especially for students in high-poverty communities like hers. She can relate to her students; she lived with an abusive stepfather and her family struggled financially. Flores uses her experiences to create connections and is passionate about helping disadvantaged families navigate the education system. She works with youth who are in foster care, has established a mentoring program, and is working on an after-school program that teaches self-esteem through training for a 5K race. • Suzy Bass recalls being on lockdown in her Lindo Park Elementary classroom and using the opportunity as a teachable moment for what went wrong for the people involved in the incident. She is a Lakeside native and makes a conscious effort to give back to her community, including starting a recycling program at her school nine years ago and establishing partnerships with EDCO, Urban Corps, and I Love a Clean San Diego. Her roots run deep in the community; she has been the student council adviser as well as president of the PTA for the past 19 years. • Danielle Adams grew up three blocks from San Miguel Elementary, and now teaches 5th grade at the school she attended as a child. She started at the school as a long-term substitute teacher and focused on making connections so her students could thrive. Adams reviews grammar, punctuation, spelling, vocabulary, and context playing “Jeopardy” in class. She is the student council adviser, safety patrol coordinator, and Girls on the Run head coach, and she uses her involvement in each of those activities to build community for students. ‘Cox Presents: A Salute to Teachers’ is open to all ages. Tickets are $15.50, plus fees. Discounts are available for groups of 10 or more and for those who mention title sponsor San Diego County Credit Union. Enter SDCCU in the offer code box for online orders. Tickets can be purchased online at http:// sandiegotheatres.org/a-salute-to-teachers/; by calling the Balboa Theatre at 570-1100 (all San Diego area codes); at the Advance Sales Windows at Third Avenue and B Street from 10 a.m. to 6 p.m. Monday through Friday; and at the theater box office, 868 Fourth Ave., which is open only on performance days. For 27 years, Cox Communications has produced and televised “Cox Presents: A Salute to Teachers” to honor San Diego County’s public school teachers for their commitment to teaching, learning, and their students. Dennis Morgigno and Kyra Phillips will return as co-hosts. Morgigno is an award-winning veteran San Diego broadcast journalist. Phillips, a San Diego native, is an award-winning correspondent for the CNN investigative and documentary units, and a graduate of Helix High School in La Mesa. Student performances during the show will include show choirs from Lakeside Middle and Carlsbad High schools, and San Diego Christian Youth Theater’s cast of “The Lion King.” The 44 nominees for Teacher of the Year were selected by their respective school districts. Of those, five will be named County Teacher of the Year. The top five teachers are selected based on student achievement, professional development and community involvement, teaching philosophy and personal style, knowledge of educational issues and trends, promotion and development of the teaching profession, accountability, and ability to serve as ambassadors of education. Additional show sponsors include The Super Dentists, the Sycuan Band of the Kumeyaay Nation, Procopio, and University of Phoenix. FICTITIOUS BUSINESS NAME STATEMENT ASSIGNED FILE NO. 2017-9019348 (A) SG WHOLESALE ROOFING SUPPLY located at 9140 OLIVE DRIVE, SPRING VALLEY, CA, COUNTY OF SAN DIEGO, 91977. Mailing address: 5900TALK S. LAKE FOREST DRIVE, DIAMOND SUITE 400, MCKINNEY, TX 75070. This business is conducted by: A CORPORATION. The registrant commenced the transaction of business on: 07/14/17. This business is hereby registered by the following: (A) ROOFLINE, INC. of 5900 S. LAKE FOREST DRIVE, MCKINNEY, TX 75070. State of Incorporation: OREGON Signed by: JOH S. DAVIS / VICE PRESIDENT. This statement was filed with ERNEST J. DRONENBURG, JR, the Recorder/County Clerk of San Diego County on JULY 31, 2017. SAN DIEGO COUNTY HERALD, PUBLISH: AUGUST 31, SEPT. 07,14 AND 21, 2017. Enjoy the Sept. 14-20 digital version of The Herald! Get Your Community Fix! Stoney's Kids Legacy is Accepting Grant Applications, See P7.